Construction work this week on MoPac includes restriping lanes. Update: Austin's latest surge of winter weather means postponement of lane restriping work on MoPac. Original story (Dec. 9): Construction work on MoPac is about to get underway. Overnight lane closures begin tonight as crews install construction signs in preparation for restriping portions of the road. It’s the first phase of the $200 million MoPac Improvement Project, and it will ultimately impact nighttime driving on the 11-mile stretch of highway, from Parmer Lane to Cesar Chavez St.
MoPac, named for the Missouri Pacific rail line it was built next to, was designed in 1961 for a population near a quarter of a million. Needless to say, Austin has since outgrown that number. While most of the major construction projects will take place overnight, Pustelnyk says crewmembers will be present around the clock in the construction zone. And because of that, he’s asking that drivers stay aware of their surroundings. Major work on the project will be suspended during the upcoming holidays, with construction picking back up in January. 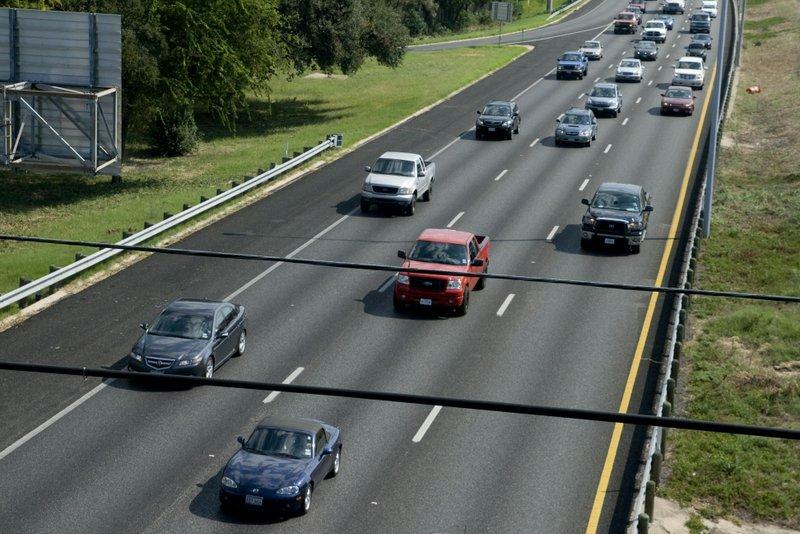 The MoPac Improvement Project is expected to be complete by late 2015. There are few things most drivers despise more than sitting in traffic. Add the sweltering heat of a Texas summer day, and you’ve introduced even more suffering. 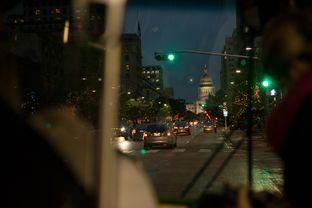 That’s bad news for Austin, a city that was ranked fourth-worst nationally for traffic in 2013. A good deal of this infamous congestion is born along MoPac. Designed in 1961 to meet the needs of less than a quarter of a million people, MoPac has been under strain since the beginning of Austin’s demographic boom. Today, the design is simply incapable of meeting the needs of the city’s burgeoning population. 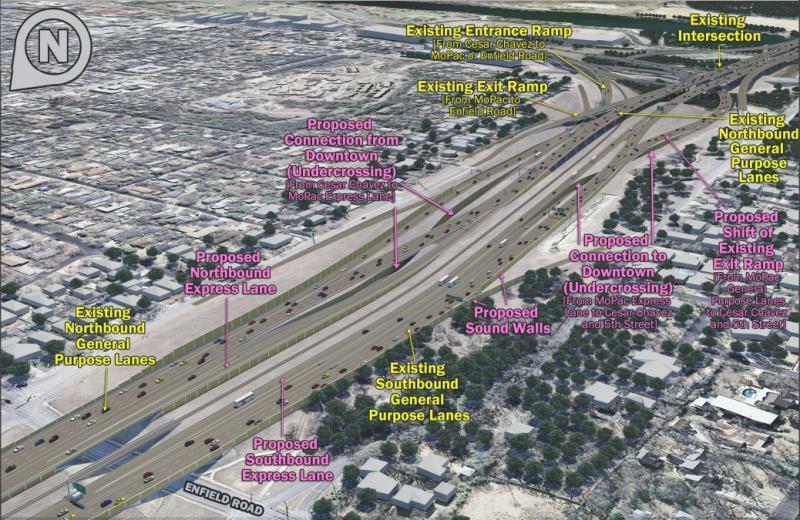 In 2015, an 11-mile stretch of Austin’s MoPac Boulevard will expand to eight lanes from six. The two new lanes will be tolled, giving drivers the chance to pay a premium to avoid the road’s frequent congestion. While the toll lanes will help ease traffic on the free lanes, neither the Texas Department of Transportation nor any of the local entities involved in the $200 million project are predicting it will transform MoPac into a free-flowing thoroughfare. With robust population growth projected for the region, MoPac traffic is expected to continue periodically slowing to a crawl for decades. When it does, local officials are optimistic that frustrated commuters will notice that it is not only personal vehicles zipping past them on the toll lanes.